This Philosophy you will learn is applicable to all investors, for study after study shows that investors consistently shoot themselves in the foot by zigging when they should be zagging, buying when they should be selling, selling when they should be buying, or even doing anything at all when really they ought to be sitting on their hands. The most important thing for every investor, novice and professional, is to have a disciplined approach to investing, and frankly that it is more important to have a discipline than what that discipline necessarily might be. Growth investing can work, value investing can work, momentum investing can work – probably any approach can show positive results if it is skillfully pursued with an adequate degree of rigor. Where investors fall down is in not having a clearly articulated investment philosophy supported by a disciplined investment process implemented with both rigor and flexibility. By way of example, this books will describe an investment philosophy and process of an expert developed over the past quarter century that will work for anybody. 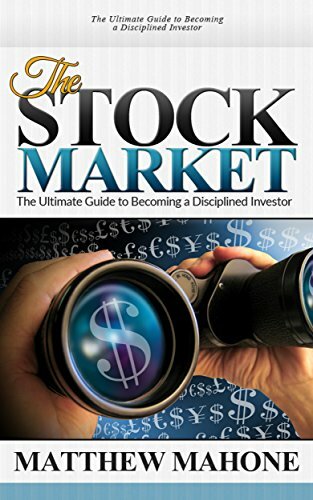 The main point of this book is to teach the importance of having a clearly articulated investment discipline, walking you through an expert investment philosophy and process as an example, illustrating how to construct Price Targets using a simple PEG Ratio analysis. Download this Stock Investing ebook for a limited time discount of only $2.99!